Channel 7's loss of Australian Open broadcasting rights is the end of an era. CHANNEL 9 has reportedly snatched the rights to broadcast the Australian Open from 2020. A bombshell report claims Nine has blown Channel 7 out of the water in ongoing negotiations. 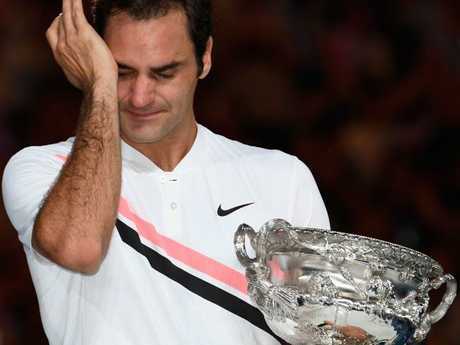 It means the 2019 Open at Melbourne Park will be the end of Seven's 40-year broadcast of the event. It is the end of the road for Seven's iconic Aussie Open team, headlined by Jim Courier, Lleyton Hewitt and Bruce McAvaney. Following a series of reports of ongoing negotiations, senior Channel 9 sports presenter Cameron Williams posted on Twitter his network would broadcast the Open from 2020. 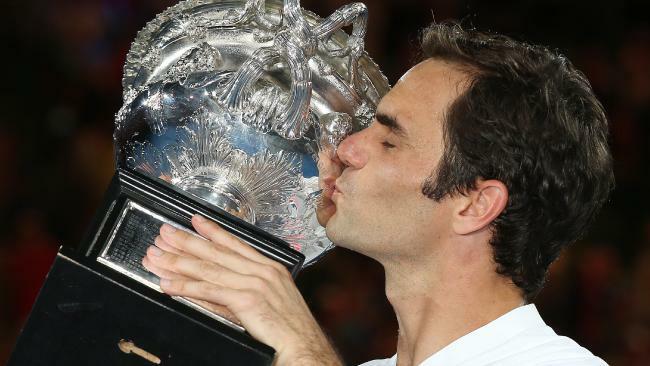 It came after Fairfax Media reported Nine had tabled an offer worth almost doubled the existing deal between Tennis Australia and Channel 7. "Seven had an exclusive negotiating period with tennis that ended in March, and bids were then opened up to other competitors with a mid-April deadline," Fairfax reported. "The current deal with Seven, which includes exclusive digital rights, is worth $35 million a year. At the time, industry observers estimated the rights could have achieved $50 million a year if it was opened up to rival networks. 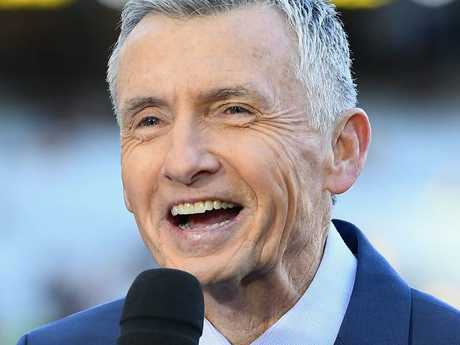 Bruce McAvaney is an iconic face of Seven’s tennis broadcast team. Reports last month claimed Seven was in the box seat to retain the rights, before the network's exclusive negotiating period expired earlier this month. Nine's dramatic play for the Aussie Open has thrown the battle for Australian cricket's broadcast rights into disarray. Nine, Seven and Channel 10 are all chasing the rights for the entire package of Australian cricket: Test matches, one-day internationals, international Twenty20's and the Big Bash League. There have also been reports Nine and Ten have submitted a joint bid, which has been rejected. The rival networks shared the rights under Australian cricket's existing broadcast deal - ending this year - reportedly worth between $500 million and $600 million over five years. The Australian reported earlier this week that Cricket Australia hoped to secure a broadcast deal worth up to $200 million per year - giving the game a $1 billion broadcast deal from 2019-2023. A CA spokesman told The Australian the governing body would not be postponing its negotiations as a result of the ball-tampering crisis that has ripped the Australian cricket team apart. "We are in ongoing discussions with parties and have no fixed deadline to conclude the process," the spokesman said. "We won't be making comment on the details of the bids, however, we don't expect the events of Cape Town will impact the value of our media rights."